In the heart of a metropolitan city of 15 million people and among the construction of a new billion-dollar transportation network, an archaeological sensation has been discovered: the ancient harbour of Theodosious, lost from the history books for over 1000 years. 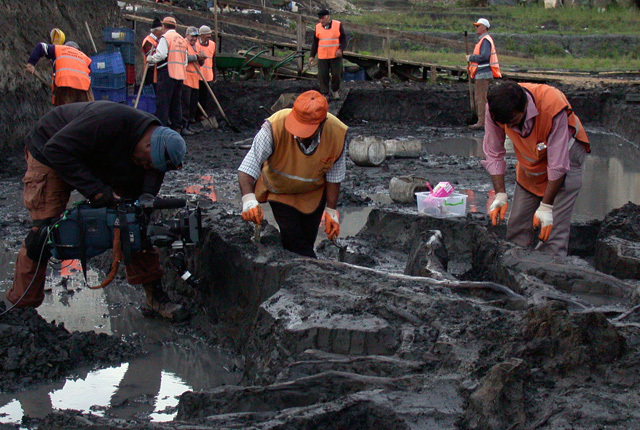 We access the immense dig site in Istanbul through leading archeologists and geologists. Using never-before-seen CGI to recreate the city, we piece together the story of the ancient harbor and the reasons for its sudden disappearance sometime in the 13th century.